I created Power Hitters Club – Entrepreneurs to provide a powerful community for entrepreneurs, solopreneurs, and business owners to share, learn and help one another. The PHC provides members like you with access to other entrepreneurs who have done what you’re trying to do, have worked in your industry and who can pull from valuable experience. 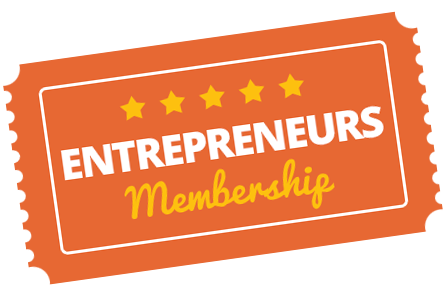 PHC – ENTREPRENEURS is a private community and collection of resources for entrepreneurs looking to start, take the next step, or reach new levels in their business. While many of the resources available are beneficial to all business owners, Jon crafts much of his content from the perspective of an online, digital product-based business. 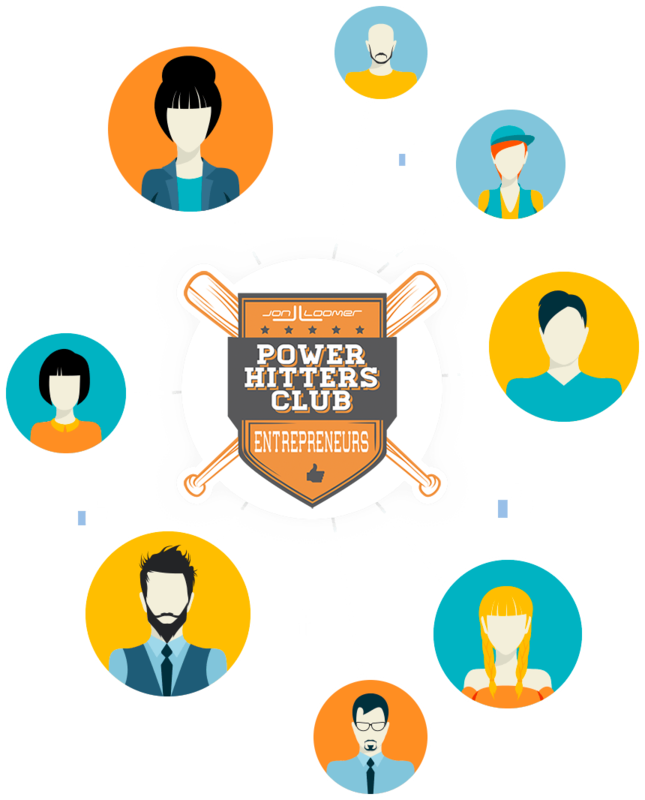 The first Power Hitters Club was started in 2014 with the goal of bringing together like-minded individuals around the complex topic of Facebook advertising. This concept was expanded to entrepeneurship — first as a beta community in 2017 before launching globally in 2018. Those who are serious about starting, building, or growing their business join the PHC. We support one another, share strategies and case studies, and alert one another of new approaches. Consider the PHC the helpful business manager or mentor you never had. Even better, the equivalence of hundreds of such mentors in one place! Jon writes thorough resources that explain precisely how he has built his own business (topics include How I Schedule My Day, How I Host Webinars, and How I Price Memberships). He also includes helpful worksheets that help you break down your daily challenges as an entrepreneur. Within your community, there are countless other entrepreneurs with a diverse representation of industry and country. Whatever your problem or challenge, someone else has already dealt with it. Jon started his business without any such experience. From the beginning, he’s received guidance from his business manager and Backup CEO, John Robinson. The two share the types of conversations they have daily through a weekly Jon and John Facebook Live. If you choose, you can take center stage on an episode! Power Hitters Club – Entrepreneurs consists of access to an active and helpful community for PHC – Entrepreneurs members only, live weekly Facebook Live sessions, a growing library of content, and regularly updated worksheets that help entrepreneurs solve problems and grow. REGISTRATION FOR THIS COMMUNITY IS CURRENTLY CLOSED. Being a member of the PHC has enabled me to stay on the top of my Facebook game. Not only do I take advantage of Jon’s extensive wealth of knowledge in all things Facebook marketing, but I benefit from the insights, ideas and experiences of some superb and top notch marketers who are also members of this awesome club. With Jon’s direct input and with access to the many other advanced Facebook marketers in the group, the PHC provides an unparalleled opportunity to learn from others, to have your Facebook marketing questions answered, and to truly master Facebook marketing. Fantastic value training, access to an engaged and helpful Facebook community with regular involvement from Jon. The PHC helps me stay current and at the cutting-edge of Facebook advertising, which in turn allows me to create value for my clients. Jon has surpassed my expectations and being a PHC member has saved our company time, money and frustration. His knowledge, passion and natural ability to break down complex information into simple terms and processes has been absolutely priceless. Being a part of “Jon’s team” has delivered massive value in a very short period of time. Nothing like collaboration with industry pros and guidance from a respected leader. Not only am I getting the latest news in Facebook Advertising before everyone else, I also get easy access to Jon Loomer for support as well as several other experts in the industry. The networking I have done in this group has also developed some great friendships and exciting job opportunities. I’ve done over a million dollars in FB Ads sales from Jon’s trainings, and joining the Power Hitter’s Club keeps me ahead of the curve with platform features, best practices, and keeping my ads and client accounts 100% compliant. The private Facebook group is filled with other entreprenuers like you who are serious about starting, building, or growing their business. Use this community to help sort through your own obstacles that are unique to the entrepreneur, solopreneur, and online business owner. Approximately once per week, Jon and business manager John Robinson conduct a Facebook Live that covers a different topic impacting entrepreneurs. Oftentimes, John quizes Jon on the problems and obstacles that face his own business. You can also take center stage and be a guest to the show! Jon regularly updates the resource library with content that reflects on the growth of his own business. Jon’s business manager, John Robinson, regular crafts worksheets that help entrepreneurs break down the obstacles facing their own businesses. He uses these same worksheets to help Jon with his business.